I am knocking on wood as I write this but I think it is safe to say we have had the last of the snow for the season here in Denver, only took us until May but this is the crazy weather we so love and hate in our great state. I know my family and I cannot get enough outdoor time right now, starting to take the pups on hikes and planning some family trips to the cabin and maybe a good camping session or two. Sometimes as I scroll through social media I see so many amazing pictures people post from their road trips around different parts of Colorado. Everything from glorious mountain sunrises to fields filled with blooming flowers I think it is safe to say when our state wakes from it’s winter slumber it is quite the sight to behold. There are so many places to go to in Colorado but I have decided to pull a list from Colorado.com of some of the best of the best places to see during the summer, best hikes to be had and of course where to go to get that one-in-a-million picture. · Maroon Lake – I’m sure you may know the Maroon Bells located right outside of Aspen but the Maroon Lake is perfectly positioned between the two peaks to give a reflection like no other. · Trappers Peak – Found in the Flat Tops Wilderness, this hike is amongst 60-foot spruce trees with incredible views of tiny lakes below. · Medano Creek, Great Sand Dunes National Park – You may not know this but we actually have an amazing collection of sand dunes in our state. Every spring the snow melts from the mountains and creates a creek behind the dunes but make sure to get there before August because it will be gone just as quickly as it came. · Red Rocks Park and Amphitheatre – It is a well-known fact that we have one if not the best outdoor venue in the United States. Red Rocks is the ideal location for summer concerts but also for hikes during the day. There are also great fitness challenges at the Rocks so if you feel the need to get in a good workout make sure to check that schedule. · Royal Gorge Bridge – Train lovers listen up because this place is for you. Taking a 120-year-old route along a beautiful river, you will get to look up 1,200 feet at the sheer-walled canyon to the bridge that is the highest suspension bridge in North America. 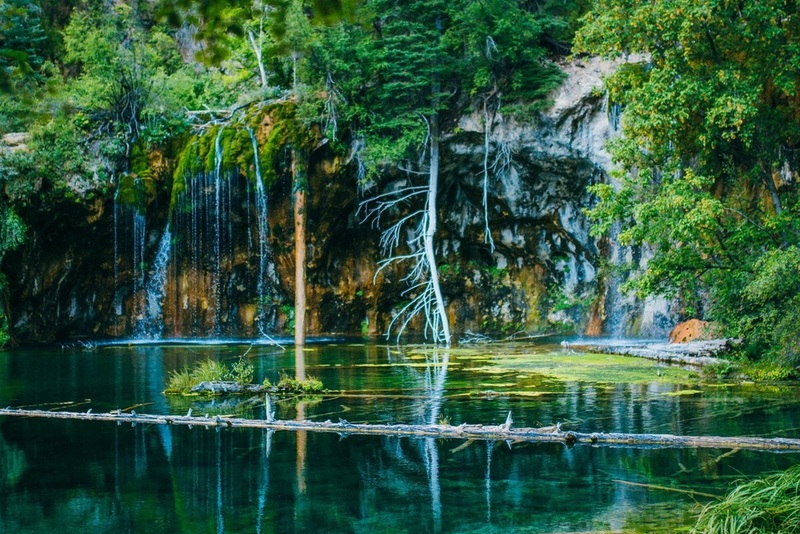 · Hanging Lake – Make sure to wait until all the snow melts before you take on this hike because it is straight up until you get to the actual lake and snow makes it one slippery adventure. This might be one of the most beautiful lakes in our state with its pure green color surrounded by beautiful moss-covered rocks and giant trees. · Garden of the Gods – Red-rock figures line this beautiful park that is known to be a place visitors look for geological formations amongst the tall figures. We are lucky enough to live in such a naturally beautiful state, make sure to get out this summer and really enjoy what Mother Nature has to offer!